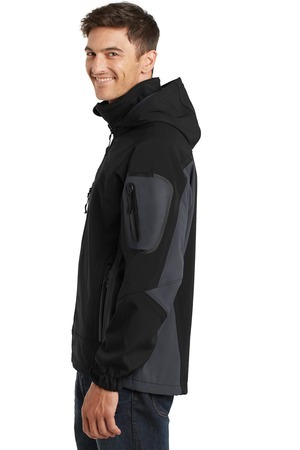 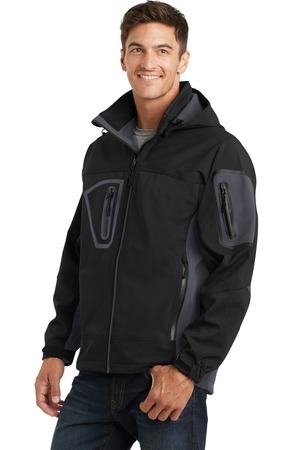 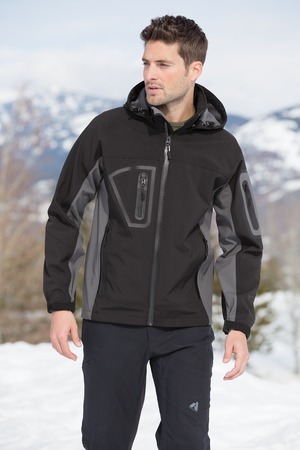 This fully waterproof, wind resistant and tech-savvy jacket delivers complete protection without the bulk. 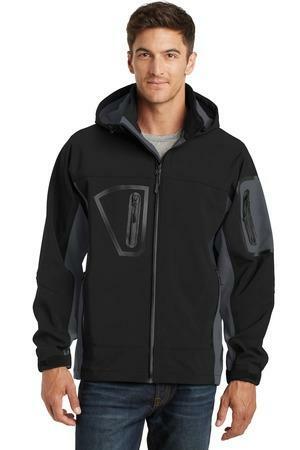 Made with a polyester woven shell bonded to polyester microfleece, this color blocked soft shell is great for cold days. 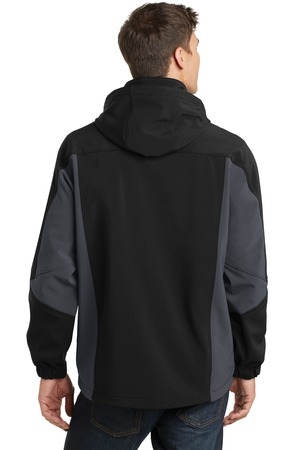 Movement is a breeze with four-way stretch fabric. 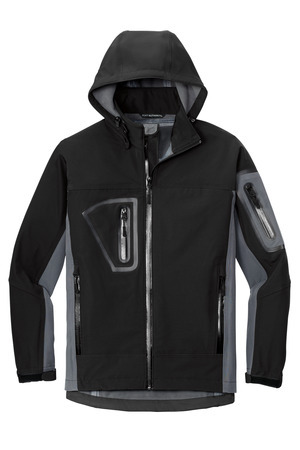 Plus, the interior media pocket keeps the tunes coming in this sleek, soft shell.